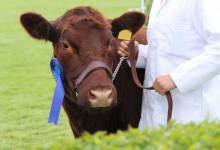 There are over 800 cattle breeds recognised worldwide, amongst these breeds are both those of which that have adapted to the local climate and farm management system, and those that have been bred specifically to improve their genetic traits with cattle genetics. 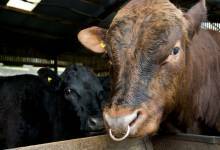 Cattle breeds are typically classified into their production capabilities, beef cattle breeds, dairy breeds and dual purpose breeds, suitable for both beef and dairy. 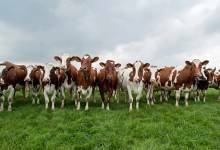 Very popular with dairy farmers due to its ability to produce large quantities of good quality milk. Friesian cattle produce large quantities of milk and their male calves can also be fattened to produce good quality beef. 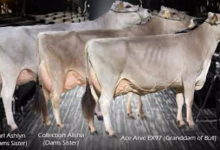 Brown Swiss have the second-highest milk yield annually of over 9,000 kg second only to the Holstein Friesian. 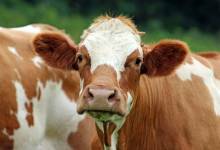 The Guernsey is a dairy breed which produces milk with a golden-yellow tinge which is due to the high content of B-carotene a provitamin for vitamin A. 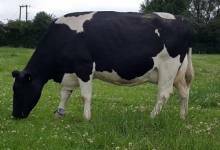 The Ayrshire is is one of the best foragers, extremely hardy and suitable for adverse climates these traits make them an exceptional commercial dairy breed. 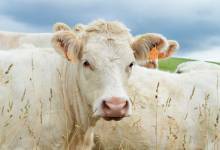 The Simmental is a heavy dual-purpose breed suitable both as a beef cattle breed and a dairy breed. 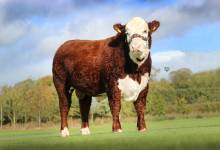 The Lincoln Red was initially bred as a dual-purpose breed, Its beefing ability led the breed in that direction. 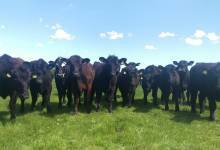 An adaptable breed, Aberdeen Angus purebred and crossbred animals are suitable for a range of management systems. 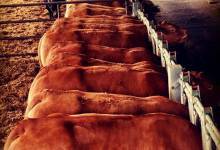 They are good foragers with vigour, adaptable, docile, fast growing with high quality beef. 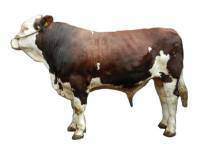 They are a hardy outdoor breed of cattle and produce fine-grained beef that is early maturing making a profitable beef enterprise. The Charolais is typically creamy white in colour, Its primary role in UK beef production is as a terminal sire in suckler herds.